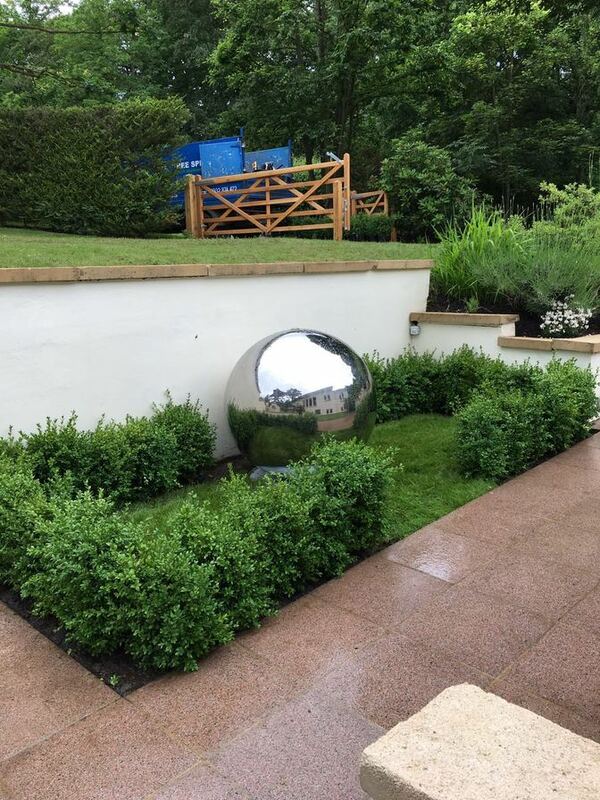 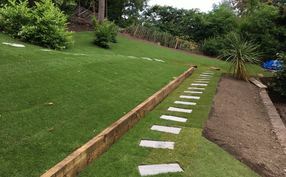 We quite often take on soft landscaping and garden design work as it tends to go hand in hand with a lot of the work we do. 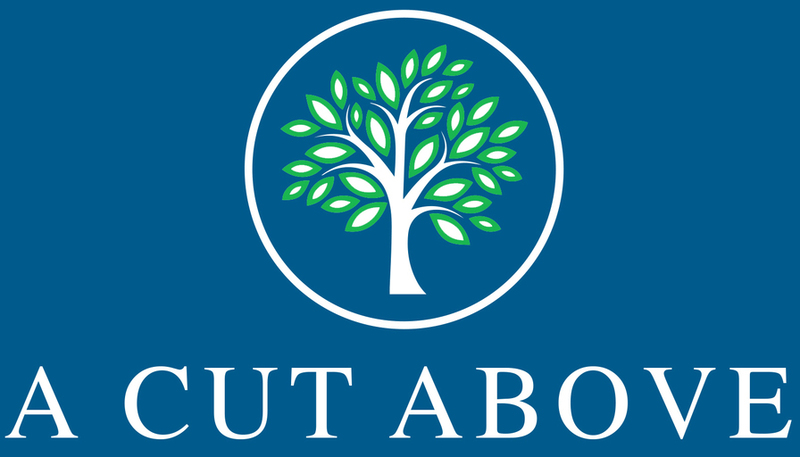 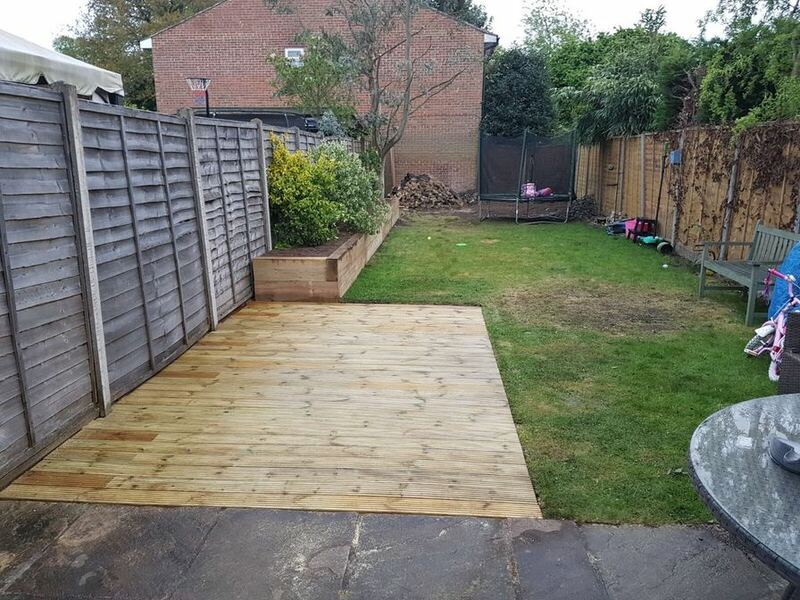 Whether you are looking to freshen up your garden or do a complete make over, we are happy to help in any way we can. 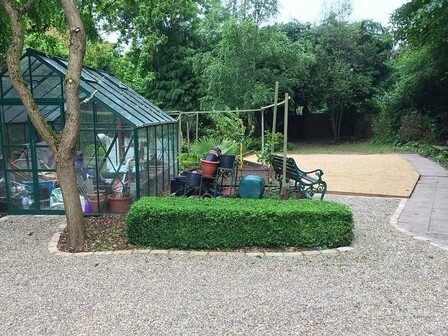 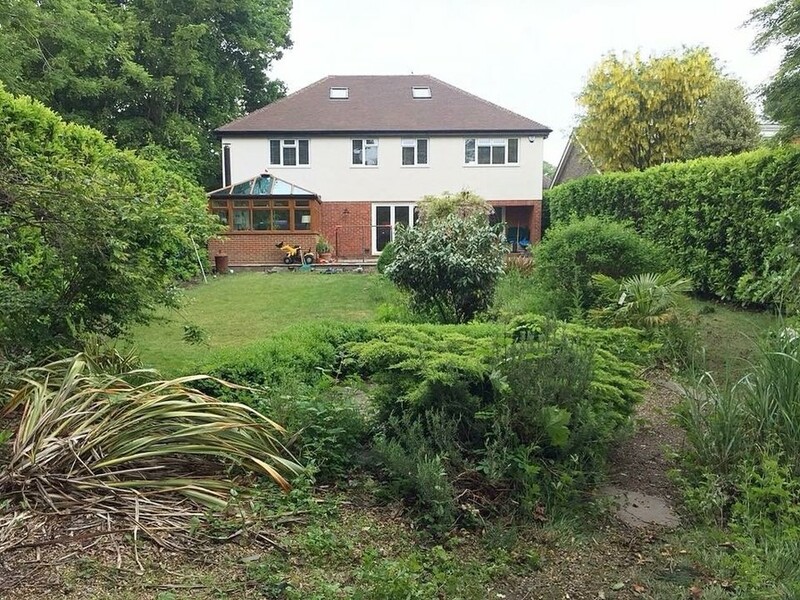 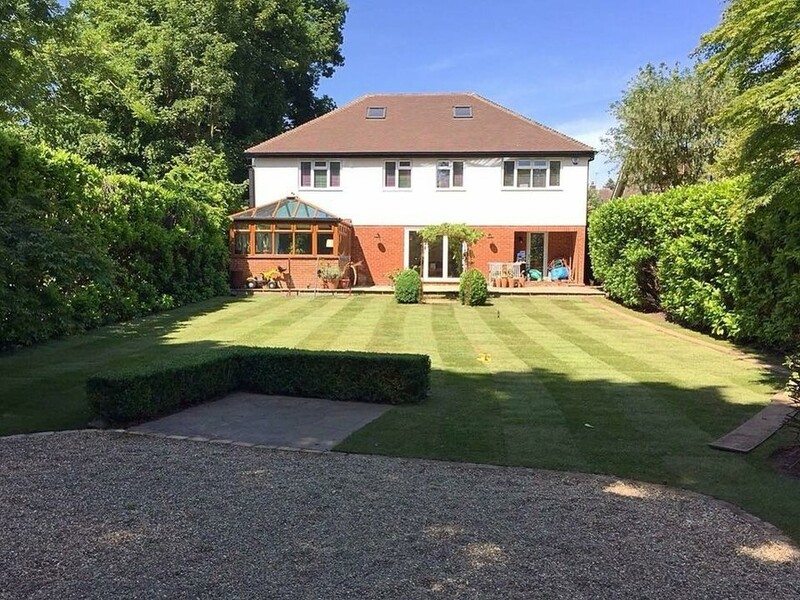 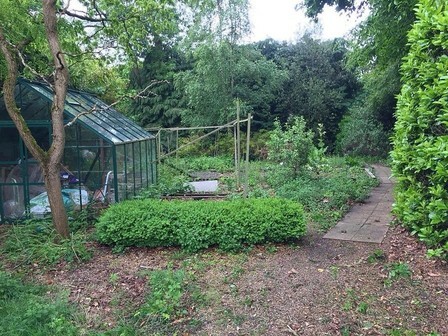 Here is a garden transformed by our team at the beginning of summer 18 in Egham. We gave this overgrown garden got a complete make over by creating three areas, grass, gravel and Petanque court. 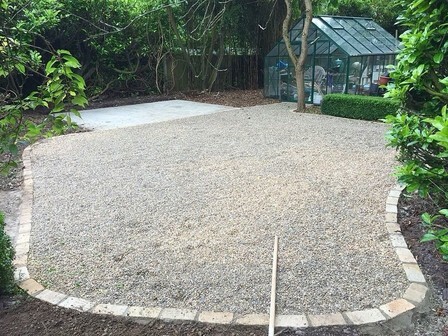 We replanted various shrubs, trees and laid a concrete base for a new log cabin. 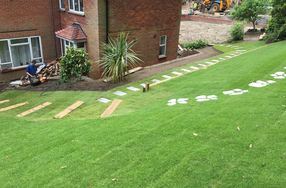 This sloping garden was not the easiest to work on, especially when the weather was very wet at the time. 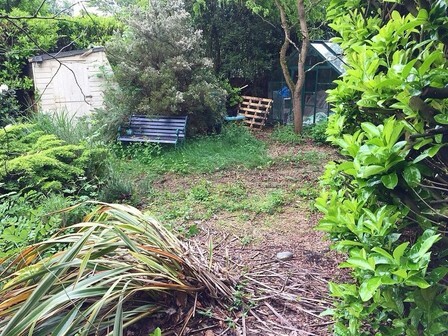 Originally, this was a clay bank that was basically unusable as a garden. 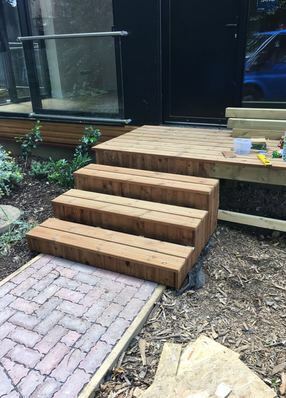 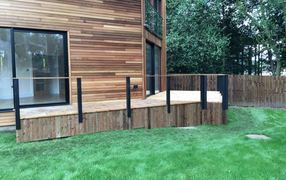 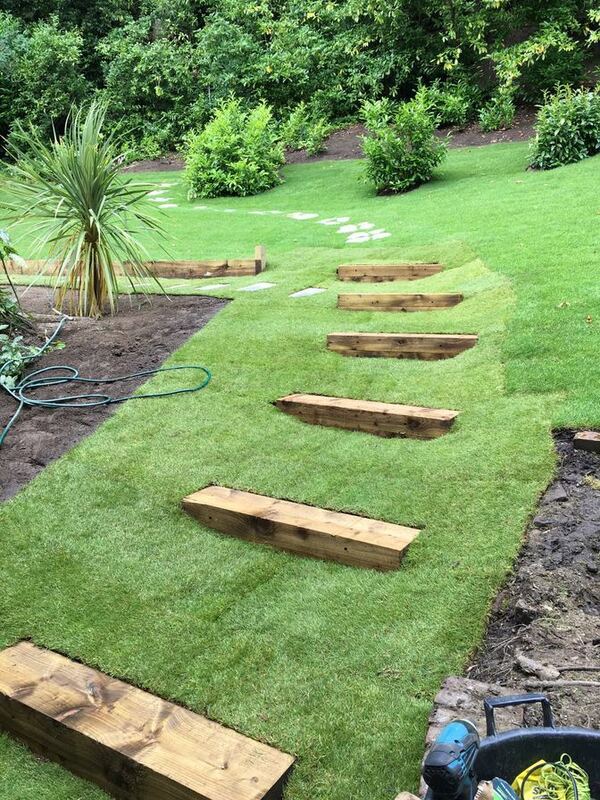 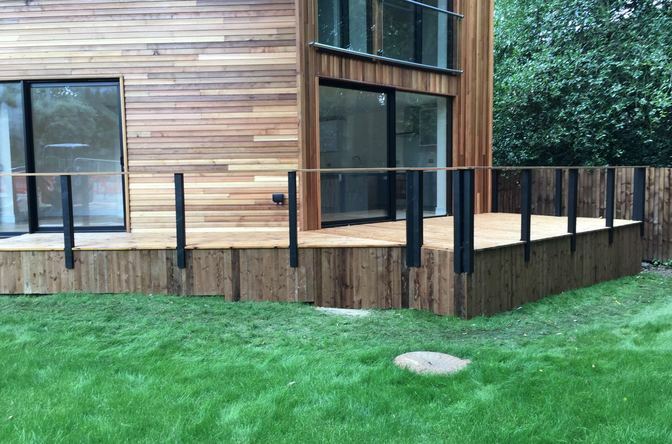 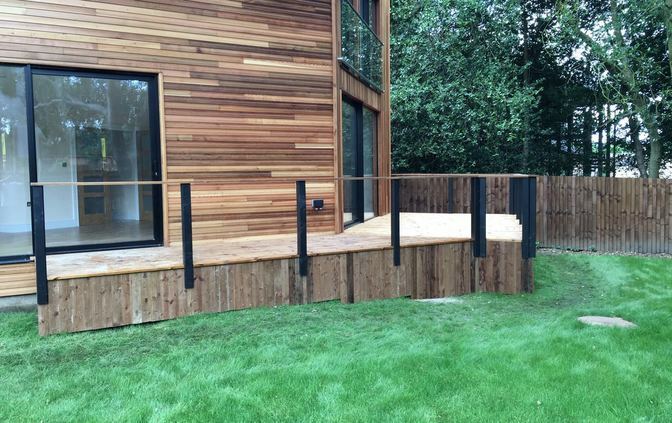 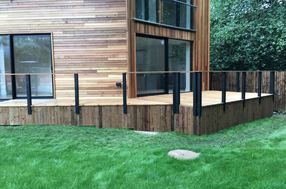 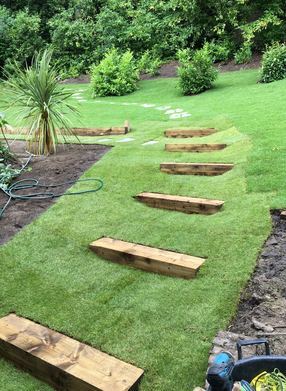 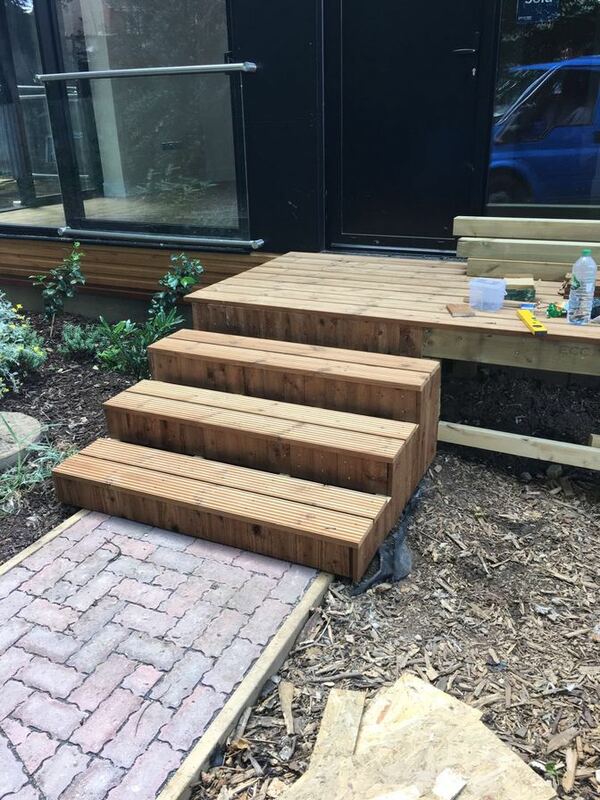 So we supplied and laid turf all the way up to the top, leaving a flower bed area, railway sleepers to seperate into two levels, sleeper steps and stepping stones, and planted various shrubs. 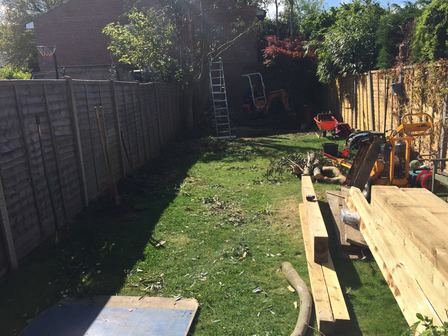 New Builds in Bagshot - we originally removed all the trees in this plot to enable the developers to build these 4 plots. 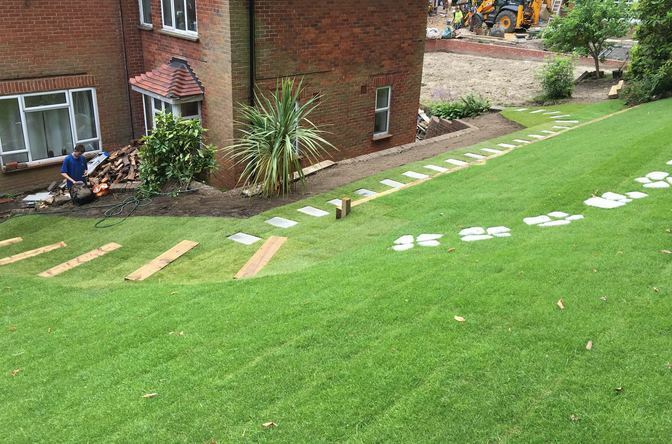 We then came back to do all the landscaping - turfing, planting, decking and steps for each house.